MINNETONKA, Minn., USA, June 27, 2018 – Golden Harvest® is growing its strong portfolio for the 2019 planting season with the release of 37 new corn hybrids—21 of which are from our 16 new genetic families—and 17 new soybean varieties. Earlier this year, Golden Harvest announced it would benefit from an incremental $400 million investment. The breadth and quality of its 2019 seed portfolio showcases that pledge. Twelve hybrids will include the Agrisure Duracade® trait, which provides a unique mode of action to control corn rootworm and preserve the yield potential of elite corn hybrids. Ten hybrids will feature the Agrisure Viptera® trait, which offers the most comprehensive above-ground insect control and is the only trait available today that effectively controls western bean cutworm. Four hybrids will contain Agrisure Duracade 5222 E-Z Refuge®, the most advanced trait stack on the market, combining the Agrisure Duracade and Agrisure Viptera traits for control of 16 above- and below-ground insects. Two hybrids will contain Agrisure Viptera 3330 E-Z Refuge, the newest above-ground-only trait stack in the Agrisure portfolio that features three modes of action against above-ground insects, reducing the need for scouting and costly rescue treatments. Eight Agrisure Artesian® hybrids will help maximize yield when it rains and increase yield when it doesn’t, via the most advanced corn water technology on the market. Twenty-eight hybrids will be available as E-Z Refuge seed blend products, providing convenient, integrated single-bag refuge offerings. In select geographies, Golden Harvest will also offer seven new Enogen® hybrids for a total of 31 options available for 2019 planting. Featuring an in-seed innovation that benefits farmers marketing grain to participating ethanol plants and those producing grain or silage for livestock feed, eight to 17 hybrids are available in each sales region. 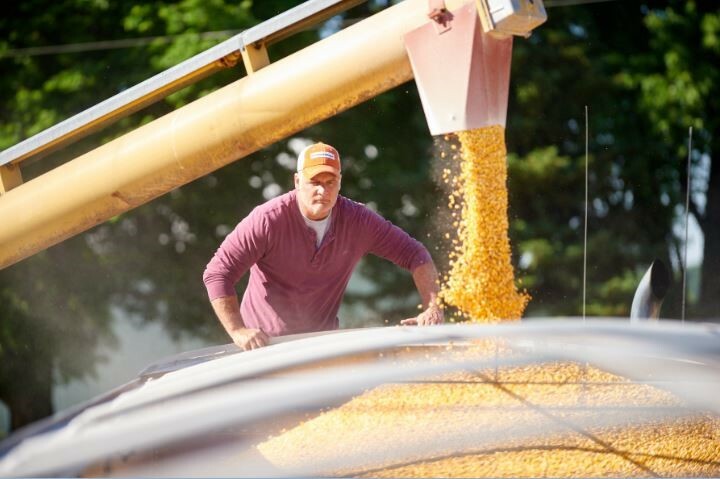 In the ethanol market, Enogen grain enhances the ethanol production process by improving process efficiency, while Enogen Feed helps increase the level of available energy when incorporated into dairy or beef cattle rations. Twelve contain Roundup Ready 2 Xtend technology, three of which are equipped with Sulfonyl-Urea Tolerant Soybeans (STS®) herbicide tolerance and may reduce resistance to ALS-inhibitors, allowing higher application rates on select herbicides. Five include LibertyLink® technology, one of which has STS herbicide tolerance. Golden Harvest soybeans protect against many of today’s toughest challenges, such as soybean cyst nematodes, sudden death syndrome, brown stem rot and Phytophthora root rot. The new 2019 hybrids and varieties further build upon a portfolio engineered to equip farmers with agronomic options for all field types, soil characteristics and weather conditions. The Golden Harvest portfolio is available from Golden Harvest Seed Advisors, who combine potentially high-yielding seed options with local agronomic knowledge and tailored field recommendations. To find your local, independent Seed Advisor and gain more information on Golden Harvest hybrids and varieties, visit GoldenHarvestSeeds.com. ©2018 Syngenta. Important: Always read and follow label and bag tag instructions; only those labeled as tolerant to glufosinate may be sprayed with glufosinate ammonium based herbicides. The trademarks or service marks displayed or otherwise used herein are the property of a Syngenta Group Company. All other trademarks are the property of their respective owners. HERCULEX® and the HERCULEX shield are registered trademarks of Dow AgroSciences, LLC. HERCULEX Insect Protection technology by Dow AgroSciences.